The Official Site of Saxophonist & Film Composer Eli Bennett » Nominated for TD Grand Jazz Award & the Galaxie Rising Star Award – Festival International de Jazz de Montréal! Eli Bennett has been nominated for the prestigious TD Grand Jazz Award and the Galaxie Rising Star Award from the Festival International de Jazz de Montréal! 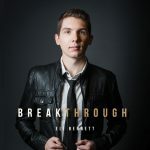 As part of the #BreakthroughTour 2015, Eli Bennett will be performing at the Festival International de Jazz de Montréal with his quartet on Saturday, June 27th at the SCENE TD outdoor stage. A full list of #BreakthroughTour dates can be found: HERE. Established in 1982, each year the Concours de Jazz (the TD Grand Jazz Award since 2010) honours the most popular Canadian jazz group among those registered in the Concours and presented as part of the outdoor program. In accordance with the competition rules, all artists and groups registered in it must present a repertoire composed mainly of original material. The competition brings to light a promising group each year, then helps that band launch a career by providing it with exposure in several important ways. Since 2001, the Galaxie Rising Star Award is also presented to the composer of the most original piece of music, selected among the competing groups. 1982 Creation of the Concours de Jazz, 1987 The Concours de Jazz becomes pan Canadian, 1987-1992 Prix de Jazz Alcan, 1993-1999 Prix de Jazz duMaurier, 2000-2009 Grand Prix de Jazz General Motors, 2010- TD Grand Jazz Award.